Motorola X Phone, "4,000 mAh Battery is the Left Hook, Water-Proofing is the Right Cross, Together: KO"
4,000 MAh battery + water-proofing! I hate to say it, but differentiation is nearly dead in recent Samsung Galaxy iterations. Sure, the S4 is probably better in all ways, but that’s kind of like the iPhone 5: “meh.” I thought for sure I’d want the S4, my plan for the last year has been to upgrade from the formidable S2 to the S4. At the time, this was naturally going to occur, no doubt about it. 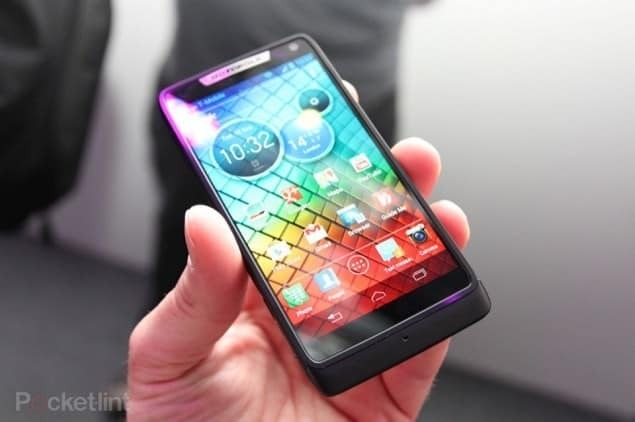 Then, yesterday, the Motorola X Phone leaks occurred. Did you catch the leaks? If not, quickly, Motorola has potentially made the X Phone 100% water-proof, as in, take-it-in-the-bath-no-worries-mate-it’s-all-good water-proof. That’s incredible, and a feat only made possible by newer nanotechnology. Surprisingly this technology, using nano particles to coat all electronic surfaces preventing water penetration, has actually been around for a couple years. Given that this technology already exists, there’s a real possibility Google (they own Motorola now) may actually deliver the first mass-market water-proof phone in early May 2013! How cool is that, right? So why did Google do this? Well the answer is due to the X Phone’s massive 4,000 mAh battery (more than twice the size of the S2’s)! Battery you say? Yes, I say. Because Google knew that they needed a smartphone so different and unique that it could stop the Samsung Galaxy zombies in their tracks and make them think twice. A huge battery is the left hook, the water-proofing is the right cross add them together: KO. Google would be smart to pull the trigger on an incredible phone like this right now. As performance reaches diminishing returns (there is no such word as “instanter” after all) it’s not a huge deal to upgrade from a quad-core to a octa-core. Also, screen technology has gotten pretty good all around and this phone is no different, it’s simply not enough to compete on horsepower and display quality. Something newer and more unique is just begging for a large chunk of the smartphone space. I’m excited that Google may release the X Phone water-proof and full of juice. I know if they did, and if they got their act together to manufacture enough supply, I’d buy that phone tomorrow! Try to find 5 Android fans who don’t agree with me, I bet you can’t! I need my X Phone fix and I need it now (you there Moto?)! This entry was tagged 4000, battery, galaxy, Google, huge, mah, motorola, phone, s4, Samsung, water-proof, x. Bookmark the permalink. I WILL OWN THIS PHONE! When can we get it. Hi Karen, it hasn’t been announced yet officially. It did just pass through the FCC though, so it should be coming in the next three months! But the Note 3 is too big for me, this is in a different class, the screen size is under 5 inches which for me is perfect. what is he cost ?? when is it gng to arrive in indian market or net for sale?? what more features it have..